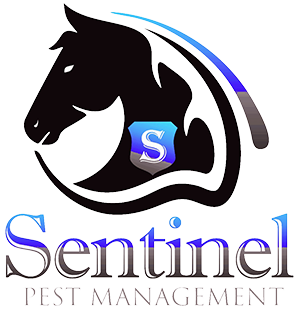 Sentinel Pest Management is a local family-ran company servicing the Orange County area. We are licensed, bonded, and insured. Our service areas include Huntington Beach, Fountain Valley, Newport Beach, Costa Mesa, Irvine, Rancho Santa Margarita, Mission Viejo, Ladera Ranch, Rancho Mission Viejo, San Clemente, Laguna Niguel, Fullerton, Anaheim Hills, and all of Orange Country. The owners Tom and Patti Ball are long-time residents of Orange County. They are parents and pet owners so they understand how important your family and pets are to you. Patti Ball has specialized in customer service in the pest control industry for over 18 years and is considered top in her field. Her vast knowledge, compassion, and professionalism is what makes her stand out in the industry. She, along with her husband T-Ball, has built three successful pest control departments for other companies. T-Ball has been in the industry for over 25 years and is considered one of the top technicians in Southern California by his customers and his peers. Before starting his own company, he successfully helped build three pest control departments for other companies. He is passionate about taking care of his customers and making sure they remain bug-free. Patti and T-Ball know that a company is only as strong as their weakest link. Because of this, they are very selective about who they hire as employees. Not only are all their technicians licensed per California regulations, but they all must exhibit the high customer service standards Patti and T-Ball believe every customer deserves. At Sentinel Pest Management, we will treat you like a person not a number. We will take the time to listen to your concerns, answer your questions, and solve your pest problems. Whether you are afraid of spiders, rodents, or even ants, we will not minimize your or concerns or fears because we know that everyone is different and has different tolerance levels. We put our customers first and will make sure they are taken care of BEFORE helping perspective new customers. Some people may not understand this, but we know we are here because of our customers and believe that their loyalty should be rewarded. We are a company that still believes in customer service, family values, and professional results. © 2018 Sentinel Pest Management. All Rights Reserved.